Paying for the past can only help you with the future. Kind of like jail time. I received the Marti report today and I am super stoked . Turns out the car was built in San Jose and delivered to Metro Ford right here in Calgary. It was built on January 31, 1968 and released for delivery on February 01, 1968. It was sold here in Calgary on May 27, 1968. It is 1 of 6,147 cars with the same Paint and Trim Codes. I have been in touch with the General Manager at Metro Ford and he is going to see if he can find out anything. The title search I pulled on the car says it was first registered in Alberta in 1991 so I am not sure if that is just as far back as they could go or if the car may have been sold to someone living in another province. The search continues but is narrowing. That's great news. Keep us updated. Congrats on getting the report from Marti, it's nice to know the history of a classic. 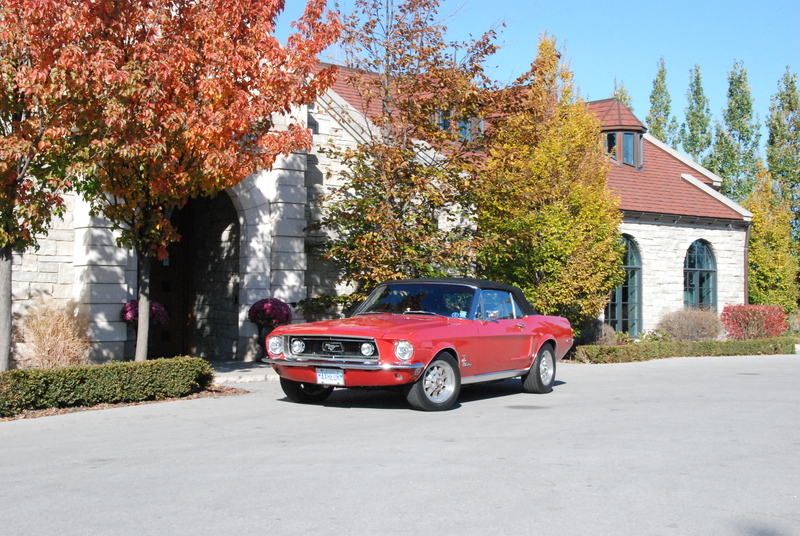 The 68 is my fave old Mustang, here is a picture of mine. It has a 331 stroker motor in front of an AOD transmission plus loads of other mods.